ARE you a ‘nidiot’? The only sure way to find out is to ask stand-up comic Jon Richardson, who has named his current tour Nidiot – because he says he definitely is one! “A ‘nidiot’ is something different from an idiot,” he explains. “An idiot is someone whose problems are caused by not concentrating enough. Jon, familiar to TV viewers as a team captain on Eight Out 10 Cats, says his upcoming show majors on the idea of how a perennial singleton and misanthrope is determined to turn into a more easygoing person for the sake of his friends and his future health. He urges people to come and see if the leopard can change his spots – or whether he is doomed to be eternally furious about the fact that he was not born with a more symmetrical fur pattern. Being serious for a second, he continues: “No, the show is about me looking back and realising that nothing was really wrong – I created problems for myself by over-thinking things. He says the turning point came when a group of his friends gathered together in the US for a wedding and persuaded him to join them on a day trip on a speedboat: “In the past, I wouldn’t have touched a speedboat in a foreign country with a bargepole – high-speed mechanical equipment you could die on was not my idea of fun. But will Jon be funny now he’s so happy? “I was worried that this was not my natural comic voice,” he admits. “People associate me with being pernickety and down. In the past, I was guilty of keeping myself like that just to maintain my comic voice. “That was insanity. But I’m not that type of comedian anymore. Anyway, comedically nothing has changed in this show. I may have a girlfriend, but I still shout at the TV and at the squirrels in my garden. If anything, the list of things I shout at is even longer now. “Sadly, I think the leopard can’t change his spots. It’s just that my perspective is different now. I’m complaining from the other side of the coin. I shouldn’t still be working out how to be a misanthropic singleton comic when I’m 60. 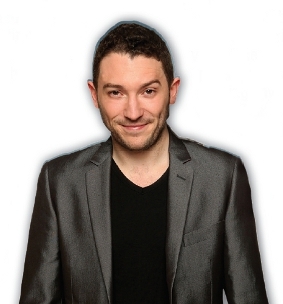 JON RICHARDSON’S Nidiot tour arrives at the New Victoria Theatre in Woking on Monday (October 13).